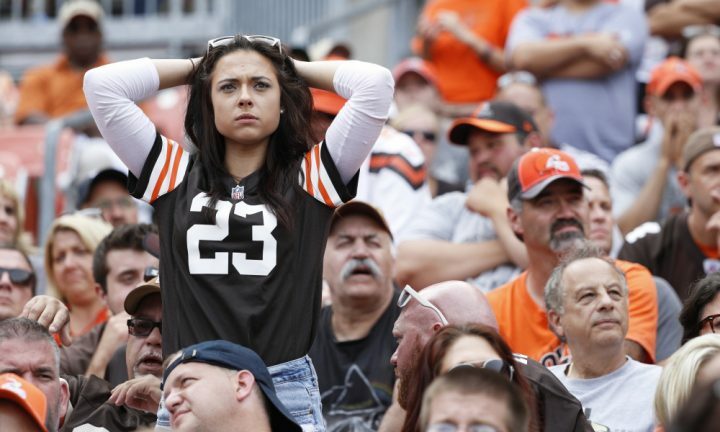 Dear Browns’ fans, it’s time to take you guys seriously. You are no longer the laughing stock of league. Obviously, it has only been two weeks into the NFL season, but for the Cleveland Browns, it has been over 634 days since their last regular season victory. So it’s easy to write them off every game, every season. This past offseason however, the Browns’ hot stove was increasingly getting hotter and hotter with every trade and signing they made. On March 14, Cleveland made four separate trades, bringing in a new wave of talent to the city. 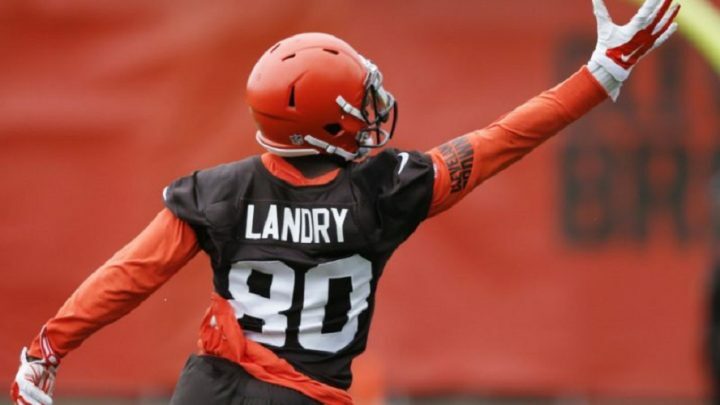 In those trades we saw veteran defensive back Damarious Randall, veteran pro-bowler QB Tyrod Taylor, and star receiver Jarvis Landry join the squad on the same day. 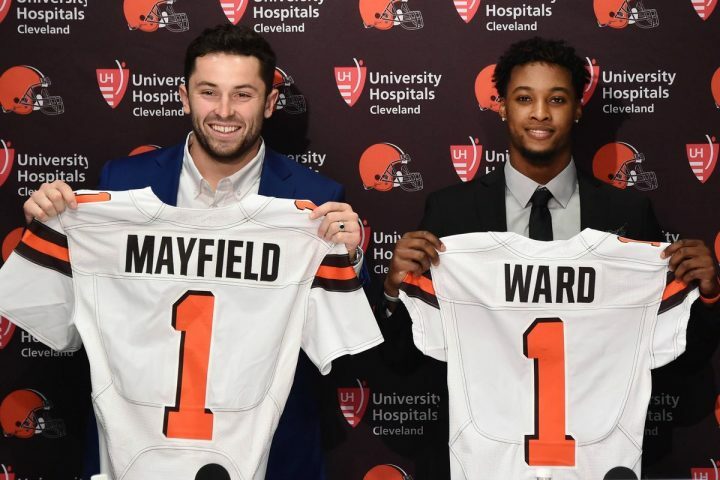 Those three studs were key players on their former teams in the playoffs the past two seasons, somewhere the Browns haven’t been able to reach since the 2002 season. The Browns’ front office weren’t done in March as they landed the best running back off of free agency in Carlos Hyde. That’s a pretty decent offense now. Finally they have a well-sounded QB to go along with a talented group of pass catchers in tight end David Njoku and receiver Josh Gordon. Well, at least for that one week of Josh Gordon. Not only did they win early in the offseason, they did a damn good job in the 2018 NFL draft. They drafted nine players that weekend and had plenty more picks to play with, but the guys they picked up have plenty of potential.They selected their future franchise quarterback in Baker Mayfield, a college lockdown cornerback in Denzel Ward, and one of the more overlooked running back prospects in Georgia RB Nick Chubb. Not to mention they have one of the best pass rushers in defensive end Myles Garrett. But the biggest questionable decision they made this offseason was retaining their head coach Hue Jackson after a winless season. Jackson’s record during his first two seasons in Cleveland: 1-31. He’s statistically the worst head coach in Browns’ history. But they still believe in his ability to coach, and with a more improved roster, they should be able to break that losing streak any time now. The first two weeks this season has already been a wild roller coaster for Cleveland. Going into both games against the Pittsburgh Steelers and New Orleans Saints, it was very predictable that they would get steamrolled by the two prolific offenses. But no, they stood their ground. 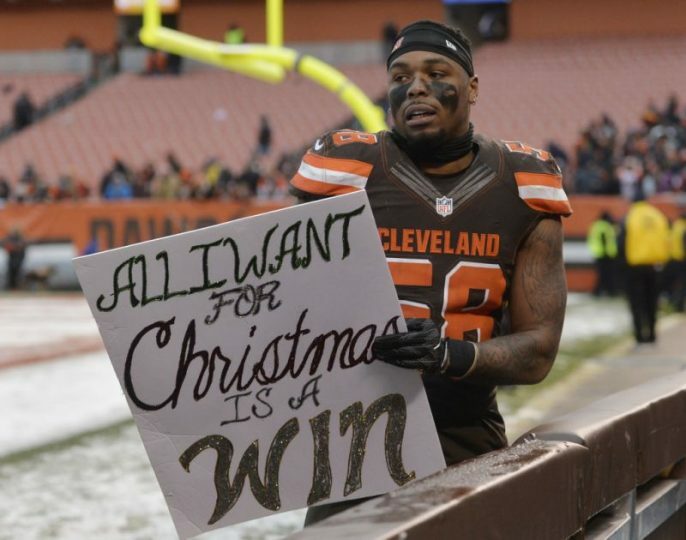 Against Pittsburgh, the Browns’ defense was able to force five turnovers. They made that game absolutely ugly for the Steelers. The game was looking to go in their favor towards the end after QB Tyrod Taylor threw a dime of a touchdown pass to Josh Gordon to force the game into overtime. Seriously though Browns… why did you trade Gordon?! The game would end in a very anticlimactic tie as both kickers missed their potentially game-ending field goals. Honestly though, a tie for the Browns is a win for the city of Cleveland. No, it didn’t break their long winless streak officially, but it did showcase that maybe their team isn’t that bad. 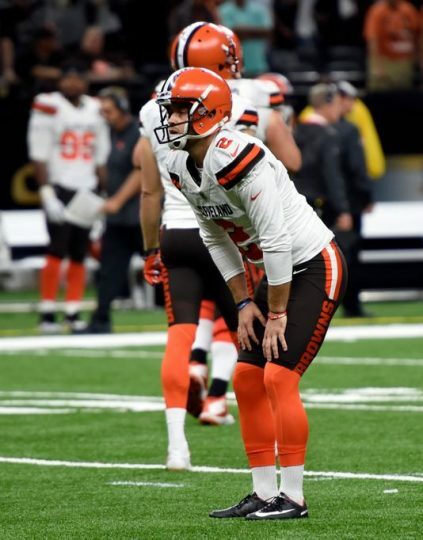 Going into week two as heavy underdogs against QB Drew Brees and the New Orleans Saints, not much was expected for the Browns but getting steamrolled. No way can their offense keep up with the Saints offense. But wow, they gave the Saints problems. They absolutely shutdown Saints stud running back Alvin Kamara to just 46 yards on the ground off of 13 carries. In the final quarter, the Browns were even leading in the game 12-3. But Brees became Brees and broke the city of Cleveland’s hearts and took the lead 18-12 with less than three minutes left in regulation. At this point of the game, I’m thinking to myself, “No way Browns QB Tyrod Taylor will be able to drive the offense to a score in time. Just no way.” But man oh man, he did. He threw a 47 yard bomb to his receiver Antonio Callaway for a score in the back of the end zone. We’ve got a tie ballgame, folks. All Cleveland needed was the extra point to take the lead. Sophomore kicker out of Arizona State, Zane Gonzalez, lined up for the extra point and smacked it wide left, absolutely breaking my heart. The Saints would then cruise the ball up the field in a minute and take the lead with a field goal. 21-18 Saints with a little over 20 seconds left, Brown’s ball. No way can Tyrod do it again with only 20 seconds left and just one time out. Again, just no way! But he did it! With a few completed passes, stopping the clock, and that one time out, he actually got the Browns into field goal range to tie the game up. Here we go again, Zane. Redeem yourself. Show the world why the Browns spent a draft pick on a kicker in last year’s draft… oh, you completely shanked the kick wide right. Damn. Absolutely devastating. The Saints walk away lucky and the Browns 630-plus day losing streak continues. Wow. What we all can take away from these past two weeks for the Browns is that, they aren’t a team that will get steamrolled every week. That defense legitimately shut down a very potent Saints offense. Once they figure out how to become more efficient on offense and figure out their kicker situation, whether it’s going to be Zane or someone else (maybe off the streets of Cleveland), watch out NFL. The Brownies are coming. Update: The 635 day winless streak is finally over! 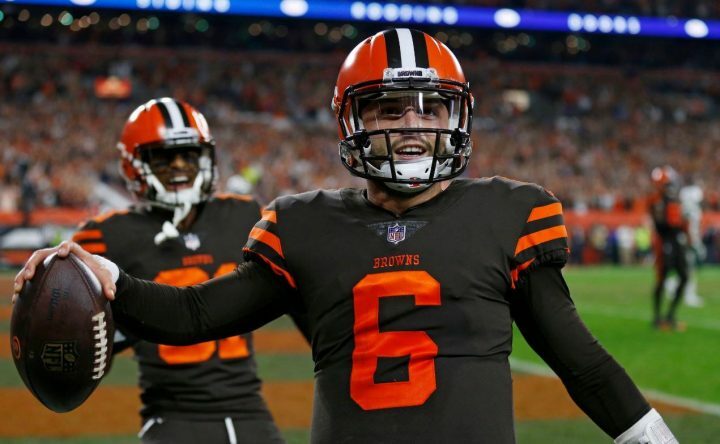 The Baker Mayfield era has begun as the Cleveland Browns defeated the New York Jets 21-17!